Visit Roscommon County and enjoy some of the finest canoeing, kayaking and tubing in the world. Nestled in gently rolling hills and valleys, our gently flowing rivers will treat you to a special experience. Blanketed with forest and captivating water we are here waiting to share the wealth of wildlife and wilderness with you. Float the Muskegon, the Cut and the South Branch of the world famous AuSable River with us. Each of these rivers has its own unique characteristic, but all of them gently take you through the cool shaded forests in and near Roscommon County. Houghton Lake is Michigan's largest inland lake, with 30 miles of shoreline. Houghton Lake is also home to Michigan's ice fisherman, and the famed weekend known as "Tip-Up-Town." 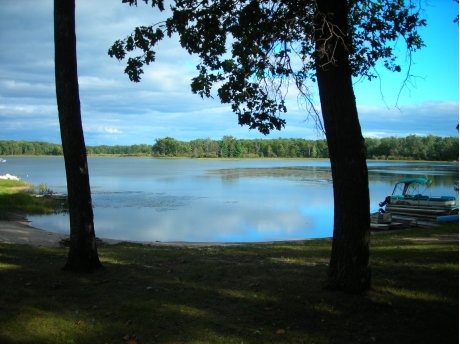 Houghton Lake is Michigan's largest inland lake. It has 22,044 acres of sandy bottom water, 8 miles long and 4 miles wide. Average depth 8'5" with its deepest spots approximately 20' that produces a great fishery of Walleye, Rock Bass, Yellow Perch, Bluegill, Pumpkinseed, Black Crappie & Northern Pike. It's hard to put into words how Tip Up Town USA has come to be the very description of winter fun and enjoyment for the whole family at Houghton Lake. Thousands of Michigan, Ohio, Indiana, Illinois and neighboring residents return each year to see this largest Winter Festival in Michigan, held annually the last two weekends in January. A Grand Parade opens the festival activities on Saturday of the first weekend at 10:00am. The Grand Parade travels east from the Houghton Lake Heights along M-55 and ends up at the TUT USA site, where clowns, games, contests, concessions, cavorting, demonstrations and aerial performances are part of the feverish activity. A spectacular Fireworks display over the ice in front of the TUT USA site begins at dusk on both Saturday evenings of the festival. Sunday mornings, a non-denominational Church Service is held at the TUT USA site to start off the day of family activities. For more than 20 years, TUT USA has been acclaimed among the top ten festivals in the nation. In 1963, the United States Chamber of Commerce acclaimed it the seventh largest winter activity in the month of January in the United States. Approximately 80,000 people turned out during the past festivals to enjoy the results of hundreds of hours work put in by individual volunteers and various community committees. The Cut River connects the Houghton Lake area's two largest lakes -- Higgins Lake and Houghton Lake. Trips on the Cut River are a short float on a quiet river through a wilderness area with a large natural stand of white birch. This gentle river is perfect for an easy short float in the pristine area connecting these two busy lakes. The Muskegon means "Happy River" and flows south and west from Houghton Lake into the backwaters of the Reedsburg Dam. From there the river meanders through miles of unspoiled wilderness fl owing over a bed of sand at approximately 3-4 miles per hour. You will travel through the Houghton Lake Wildlife Research Area, where the Muskegon River takes you gently through some astounding natural areas. Trips from 1 hour to 7 or 8 hours are available. The South Branch of the AuSable River is world renowned for canoeing, kayaking and tubing. The South Branch of the AuSable River flows northward out of St. Helen to Roscommon (This section is floatable only at certain times of the year). Out of Roscommon the AuSable River flows north and east through the George Mason Wilderness Retreat. There are no homes or roads in the 3,500 acres between Chase Bridge and Smith Bridge; this stretch of the river is preserved as a wilderness. Here the river's depth ranges from one to four fee; a few places are deeper. A moderate current will take you steadily downstream. The Roscommon Canoe Liveries can help you plan trips from 1-4 hours to overnight trips.